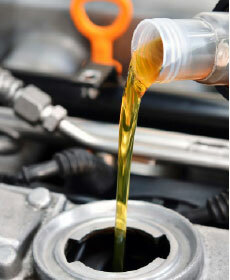 Service includes: Change engine oil up to 5 quarts of synthetic blend oil, replace oil filter. Pure synthetic or diesel is extra. Does not include past purchase or Body Shop repairs. Must present coupon at time of service. We cannot insure resetting oil life monitoring systems on all imported vehicles. Call ahead for appointment with make and model. Offer through 5/31/19.